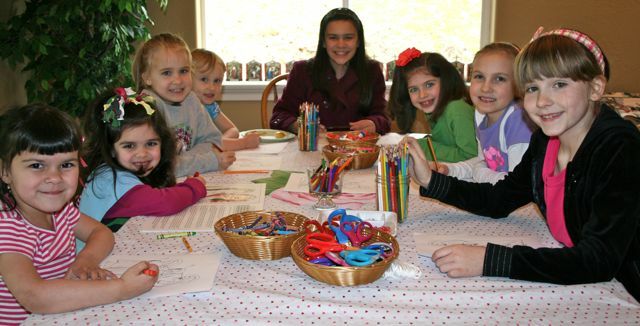 The Friday before last, the day after St. Patrick's Day and the day before our trip to the ocean, I hosted our 5th Little Flowers Girls' Club meeting for Wreath III. It was a busy week! Originally I tried re-scheduling it for earlier that week, since two of the sweet little girls in my group were suppose to be headed to their new home. However, thanks to a change of plans and a later flight, they were able to make it to the meeting after all! 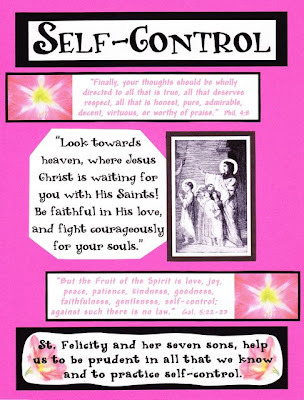 For this month's Virtue Notebook/Scrapbook Page, I used the memory verse for Self-Control, a quote from St. Felicity (found here), a quote from the bible, an image of St. Felicity and her Seven Sons, and a few amaryllis flowers. You can download my document here. Don't you just love that quote?!? I teared up during the meeting when I was trying to explain to the girls how St. Felicity is such an amazing example of self-control. . . 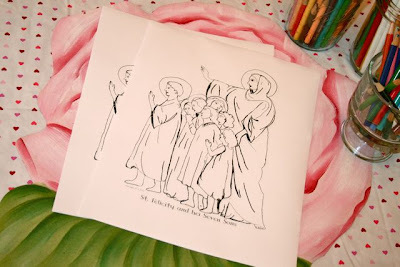 Encouraging her children to look towards heaven, as they were all about to be martyred for our faith! We read and discussed a story about St. Felicity, along with a couple stories from The Book of Virtues . 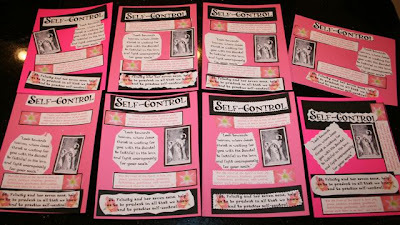 We also talked about Self-Control goes hand in hand with offering sacrifices. 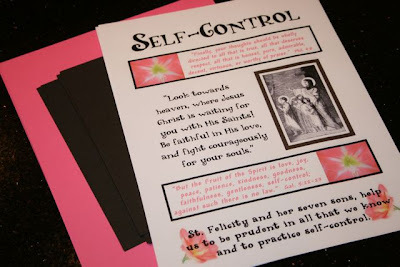 "Self-control is holding oneself within due limits in pleasures and duties, as in all things else; self-denial, the giving up of pleasures for the sake of duty." 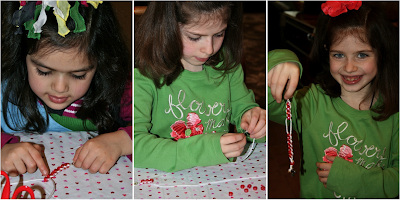 With Charlotte's post on her Crown of Thorns in my mind, I explained to the girls that when we make a sacrifice, "we hope in some small way that our sacrifice will help make amends for the sins that caused the suffering Our Precious Lord endured." 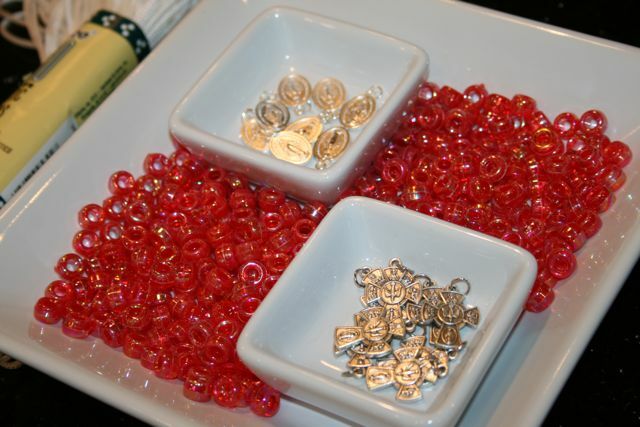 "When St. Therese was a child, her older sister Marie gave her a string of beads to help her count the gifts she did to offer to God. In this way she was able to advance in perfection daily. You can print the directions here. "NO LICKING SPOON" :: Self-Control - the ability to control one's emotions, behaviour and desires. 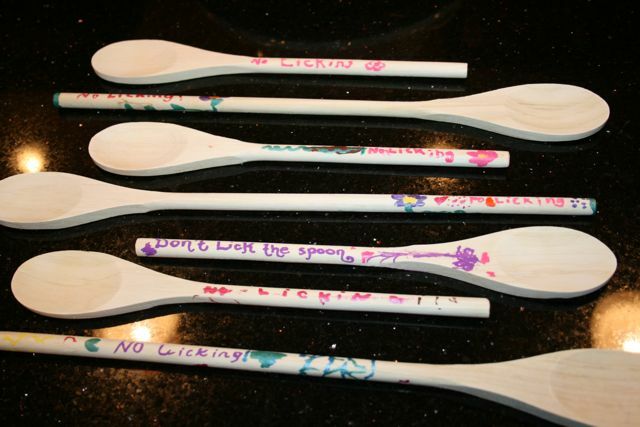 Originally we planned to have the girls iron on a "No Licking the Spoon" image to their aprons, but at the last minute we decided to have them paint the handle of a wooden spoon to either attach to their apron (with a little loop) or keep in their pocket. Next time I am going to be sure to put down some newspaper first! Pink Cupcakes using a Strawberry Cake Mix. . . 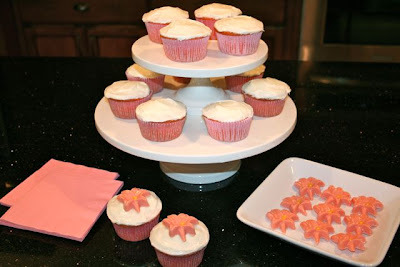 I kept it quick and simple since we had overnight company and I didn't want to spend all morning in the kitchen. 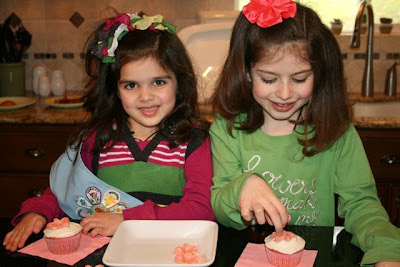 The girls always enjoy decorating their cupcakes during Little Flowers! I completely forgot about a suggestion from a friend to place a bowl of M&M's in the middle of the table during the meeting - and having the girls practice self-control in not touching the M&M's during the meeting and then only taking a few afterwards. . . Next time! 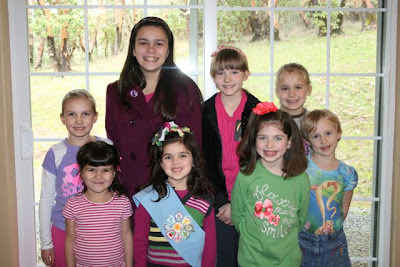 It was so nice to have all the girls at the meeting. 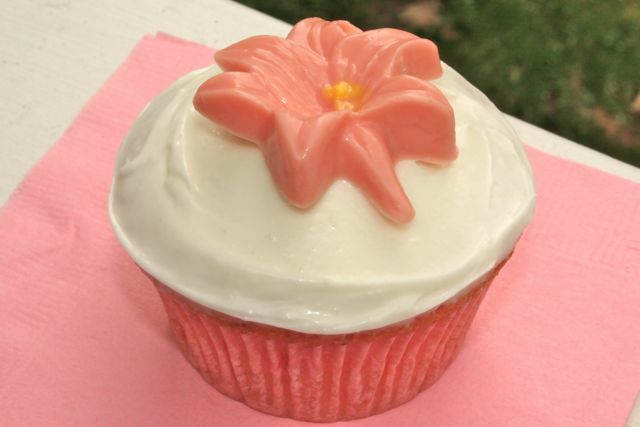 We are sure going to miss you, "Branch" and "Blossom!" 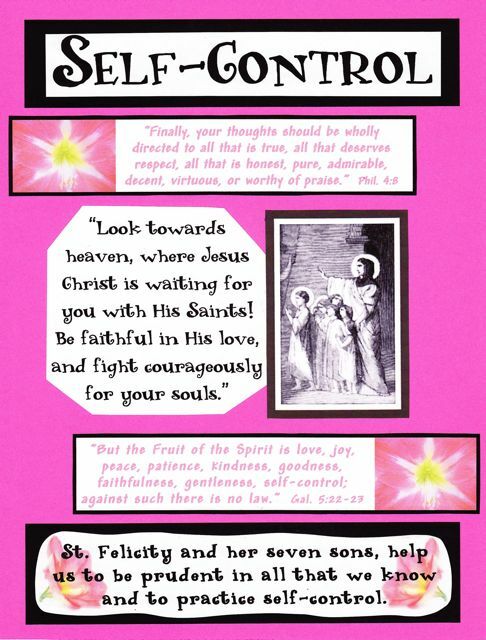 St. Felicity and her seven sons, help us to be prudent in all that we know and to practice self-control. we are blessed to have you! Deo gratias! How fantastic! 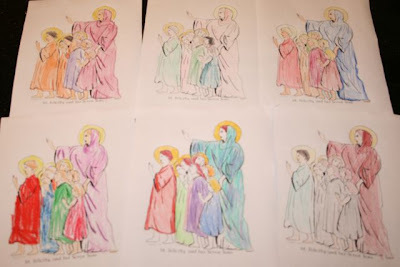 I can't wait to see your St. Cecelia post. (Primarily because that is what I am working on now). Great job, wonderful posts! Nicole ~ I did Wreath 1 a couple years ago and you can find my St. Cecilia Post here. You can also find links to all of our past meetings (Wreaths I, II and III) towards the bottom of this overview post. 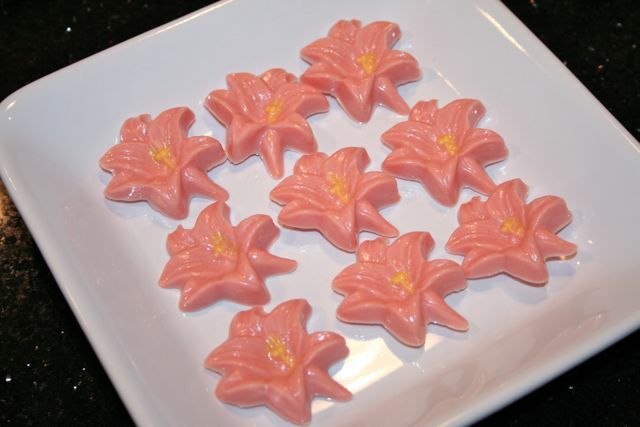 We participated in the Little Flowers program last year. We did not participate this year and we miss it. 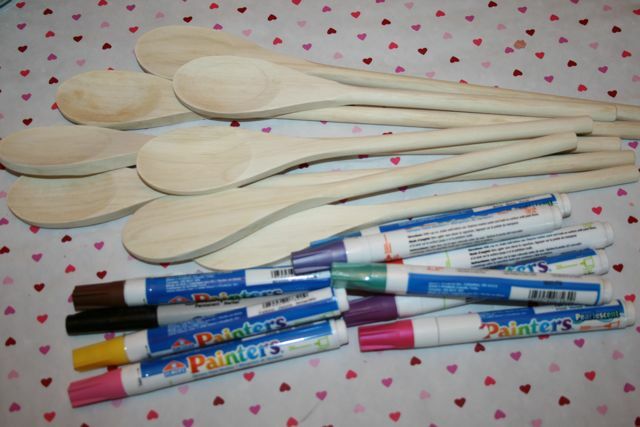 I know our group leader really enjoyed her part in bringing the teachings of the virtues and your little projects were used by our little ones as well. ;) That's how I learned more of your blog. Our church would benefit from having a Little Flowers group. Are all the girls in your group homeschooled? I find that we don't have many Catholic homeschoolers in my area, it would be easier to just recruit girls through my parish. GREAT JOB. Thank you for all you do! blessings. So I am the leader of little flowers meeting and I LOVE your poster that you did. I tried to download the document you made. Is there anyway I could have access to it, so I can do it with my girls? So I am the leader of my little flowers meeting and I LOVE your poster that you did. I tried to download the document you made. Is there anyway I could have access to it, so I can do it with my girls?